Label heads Drumsound & Bassline Smith take pole position, dropping straight into the drama of the Friction- supported Spring Heel Jack. Then comes another of Technique’s most recognisable acts, Tantrum Desire with the low-down funk of Shuffle, followed by another Friction-favourite from the bossmen with Sputnik. The big names keep coming throughout the album, as Crissy Criss supplies the VIP of his monumental Create the Future and the mighty Digital goes dubbed-out with a remix of Phantasm. Plus Drumsound & Bassline Smith’s alter-ego 2DB pass through with the highly-grimey Terrahawk and L Plus delivers two precision-engineered killers in the form of Red Planet and Going Down. Flipping the script, Technique new boys Document One strike from two angles with the laid-back Jazz Club and the dirty dancefloor uppercut of Body Like Wow. TREi takes us to the big room with Here & Now, and the ever-individual MaxNRG shows off his ability to combine energy with melody on Far Frontiers of Space. Erb N Dub and Skope recruit Mr Dirty Smirks, MC SMK himself, to bring some typically hard bars to Pull it Back. Kronology does what it says on the tin with some Razor Sharp technoid-jungle vibes. And Aussie badman Spectrem brings some hands-in-the-air euphoria with Say Goodbye and then roughen things up with The Future. Infrasonik keep the temperature rising with Bricks Breaking, before the closing Tantrum Desire onslaught of Human Mind. And finally, Drumsound & Bassline Smith step back up for a lap of honour with a mix of all the tracks from the LP. 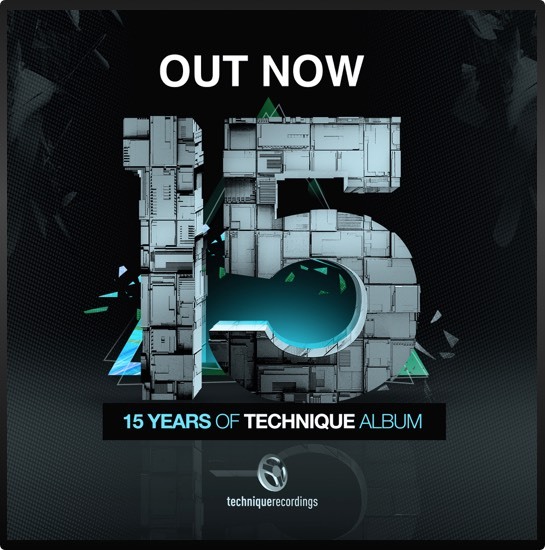 From the veteran headliners to the breakthrough talent, from the filthy rave-wreckers to the stadium-sized anthems, this album demonstrates the versatility and innovation that has kept Technique Recordings’ status for all this time. So, better get set, another fifteen years at the top of the game starts right now.